When Winston Churchill delivered his famous Iron Curtain speech in 1946, he mentioned two words that have since passed into common Anglo-American terminology—special relationship. Churchill was referring to the links between the United Kingdom and the United States—ties which were cemented by a concerted military effort during World War II. 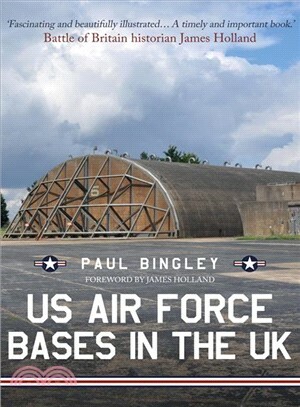 By VE Day, more than 70 airfields in East Anglia alone had been used by the US Air Force’s predecessor, the US Army Air Forces. Today, just a handful of those airfields remain in active service. But they continue to bind the two countries together. This book examines the history and ongoing work of these long-term airfields, as well as detailing the many others which survived World War II, but not the passage of time. Paul Bingley has worked in the aviation industry for more than 30 years and is responsible for leasing the world’s heaviest aircraft, the AN-225. He has written a number of features for national and international publications and is also the chairman of a museum dedicated to preserving the legacy of a US Army Air Forces’ heavy bomber base at Ridgewell in Essex.